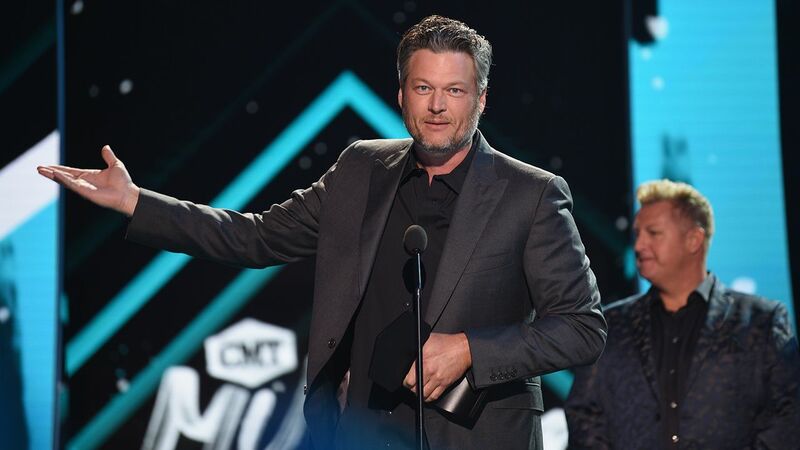 Blake Shelton wins video of the year for "I'll Name the Dogs" at the 2018 CMT Music Awards (Michael Loccisano/WireImage). 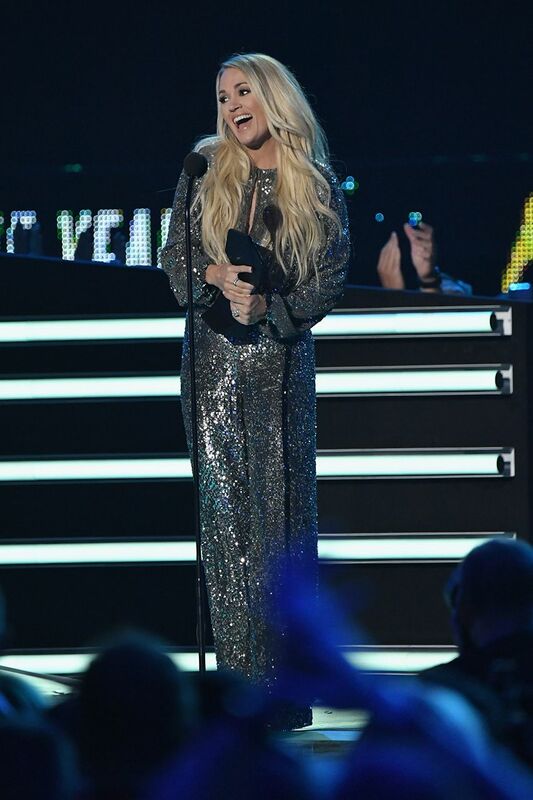 Carrie Underwood accepts the award for female video of the year for "The Champion" at the 2018 CMT Music Awards (Mike Coppola/Getty Images). 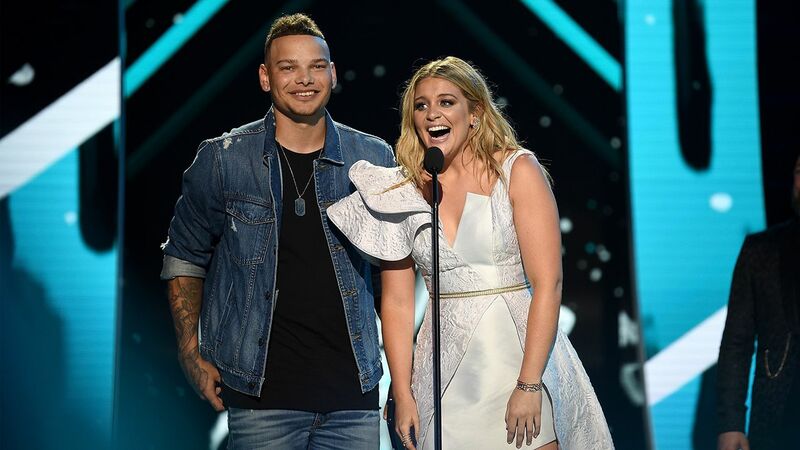 Kane Brown and Lauren Alaina share their collaborative video of the year win for "What Ifs" at the 2018 CMT Music Awards (Jason Kempin/Getty Images). 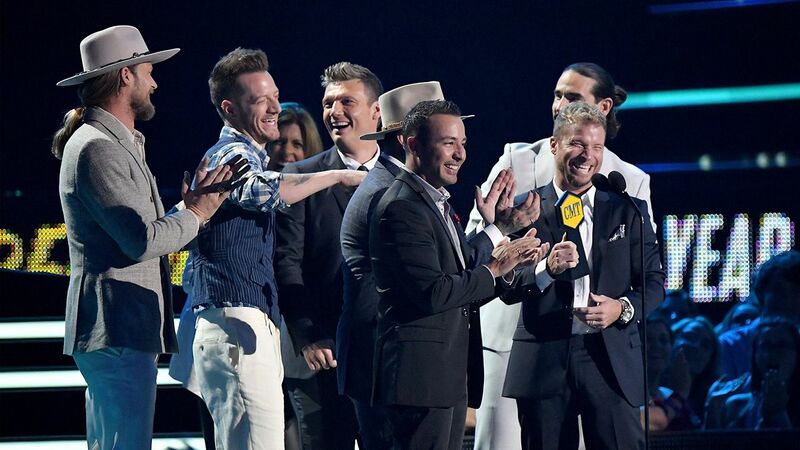 Backstreet Boys and Florida Georgia Line win CMT performance of the year for "Everybody" from "CMT Crossroads" at the 2018 CMT Music Awards (Mike Coppola/Getty Images). 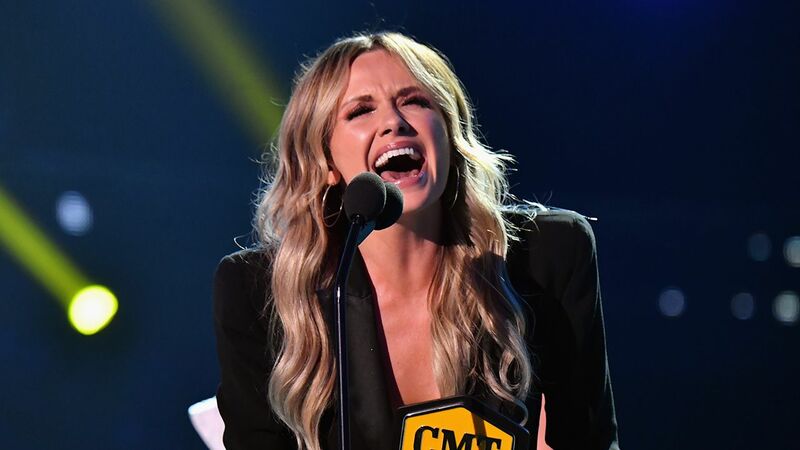 Carly Pearce shares her excitement after winning breakthrough video of the year for "Every Little Thing" at the 2018 CMT Music Awards (Jeff Kravitz/FilmMagic). 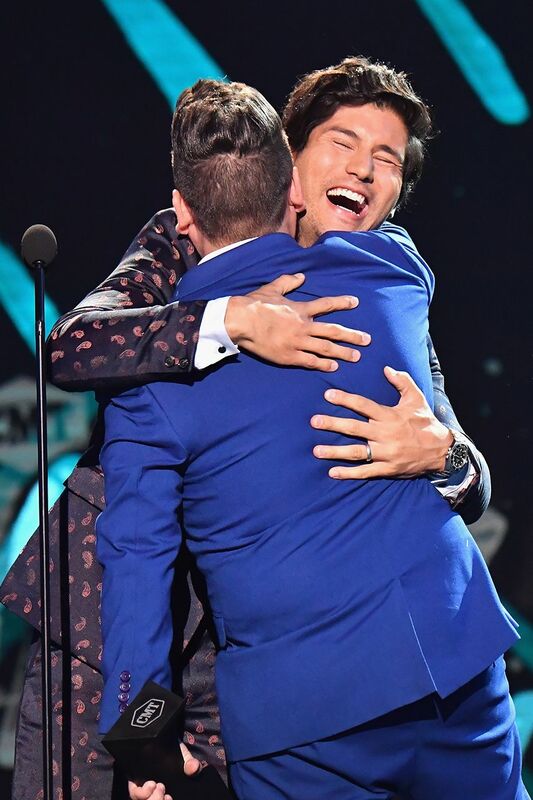 Dan Smyers (left) and Shay Mooney of Dan + Shay celebrate their duo video of the year win for "Tequila" at the 2018 CMT Music Awards (Jeff Kravitz/FilmMagic). 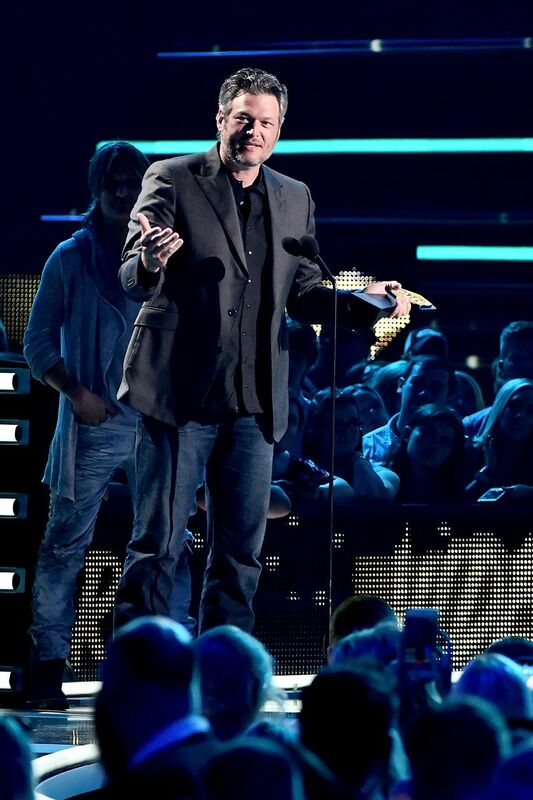 Blake Shelton gives his acceptance speech after winning male video of the year for "I'll Name the Dogs" at the 2018 CMT Music Awards (Jason Kempin/Getty Images). 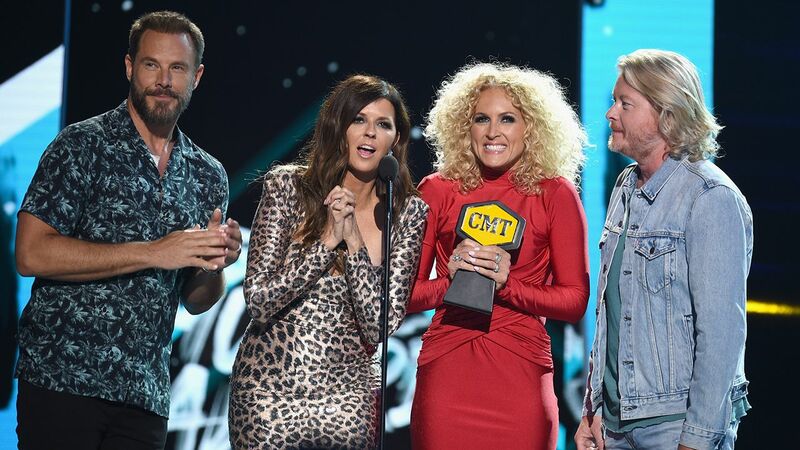 Little Big Town takes home the award for group video of the year for "When Someone Stops Loving You" at the 2018 CMT Music Awards (Jason Kempin/Getty Images).